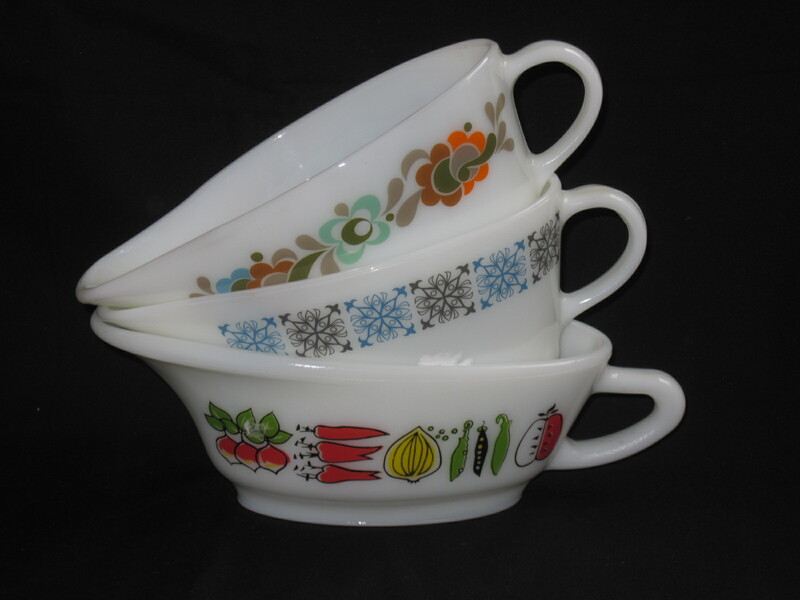 Complete Pyrex Refrigerator Dish Set in the Verde pattern. 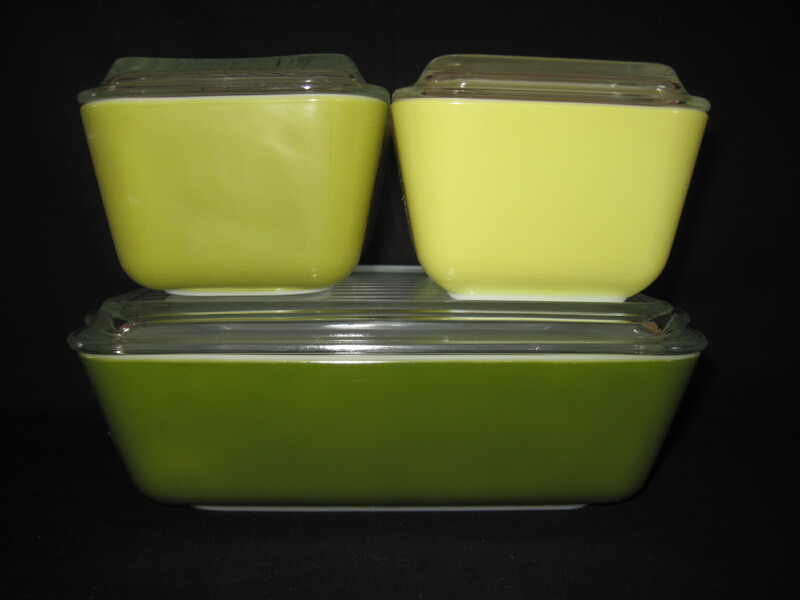 Set includes four containers; two chartreuse coloured 1 1/2 cup, one avocado green 1 1/2 pint and one dark olive green 1 1/2 quart size. 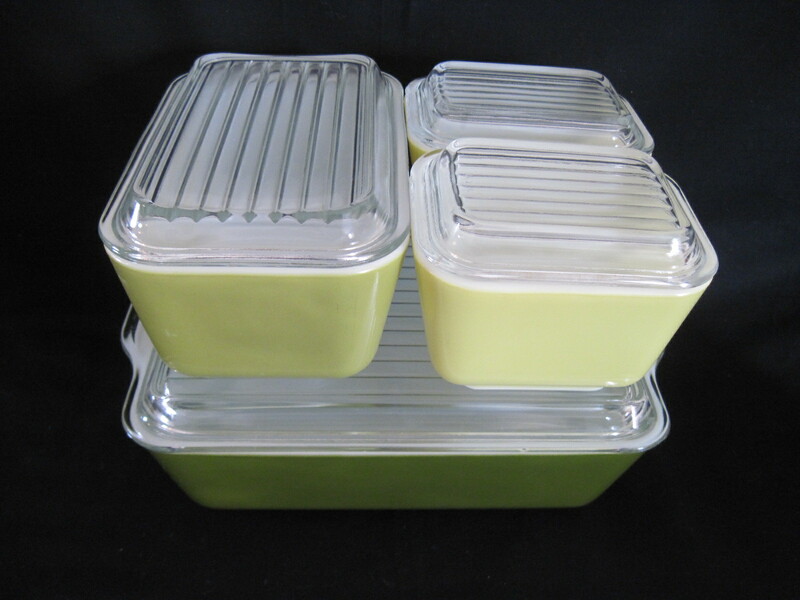 All have the clear ribbed glass lids. 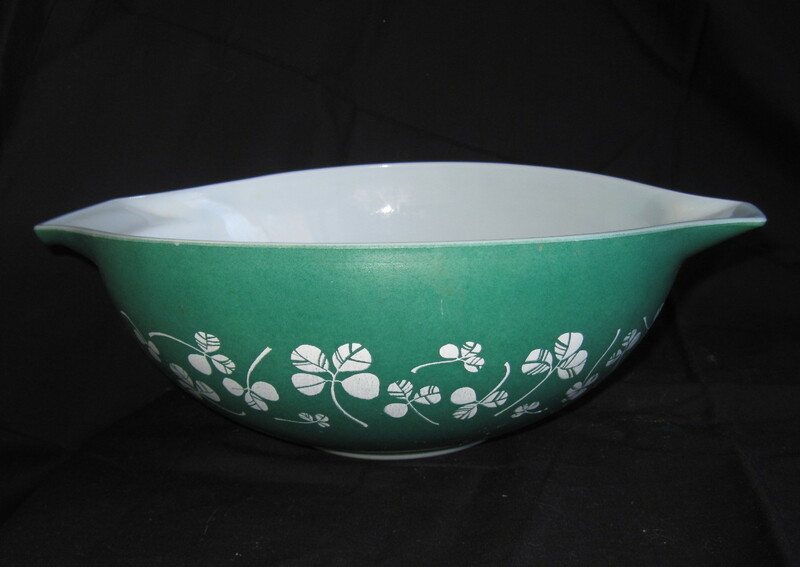 There is some confusion about Verde being the pattern name or the colour name. 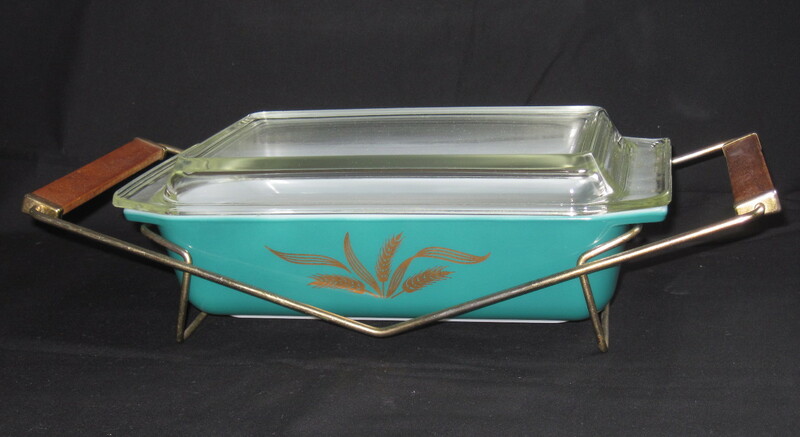 I always check the Pyrex Love site to see what they call the patterns and they list it as Verde, so I will go with that. 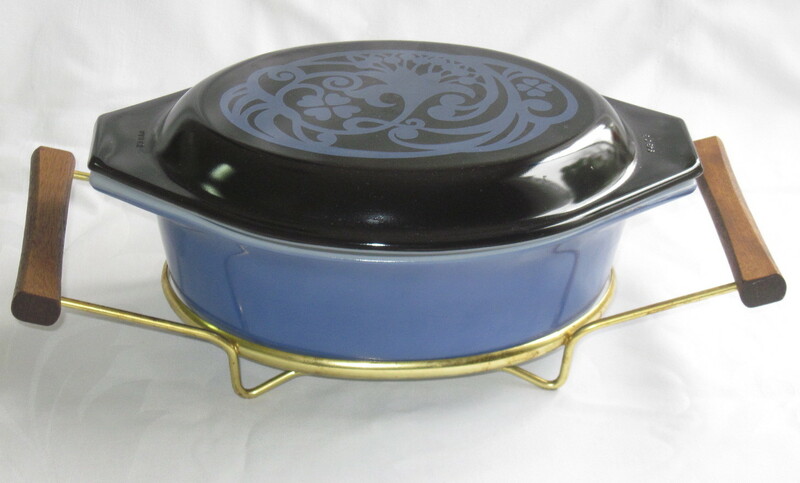 It is getting harder and harder to find complete Pyrex fridge sets in any colour combination nowadays. So I felt lucky to be able to get the whole set together.. The 2 larger pieces were on separate shelves at the store I purchased them at and it was by chance that I noticed the 2 small ones in a plastic bag hanging on a hook on the wall. They are all in very good condition, just a few very minor scratches. 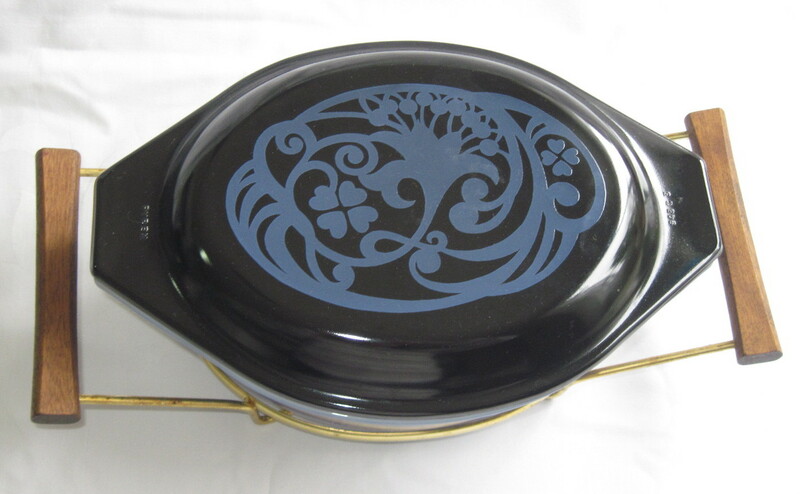 All the lids are in good condition as well with no major nicks on the edges. 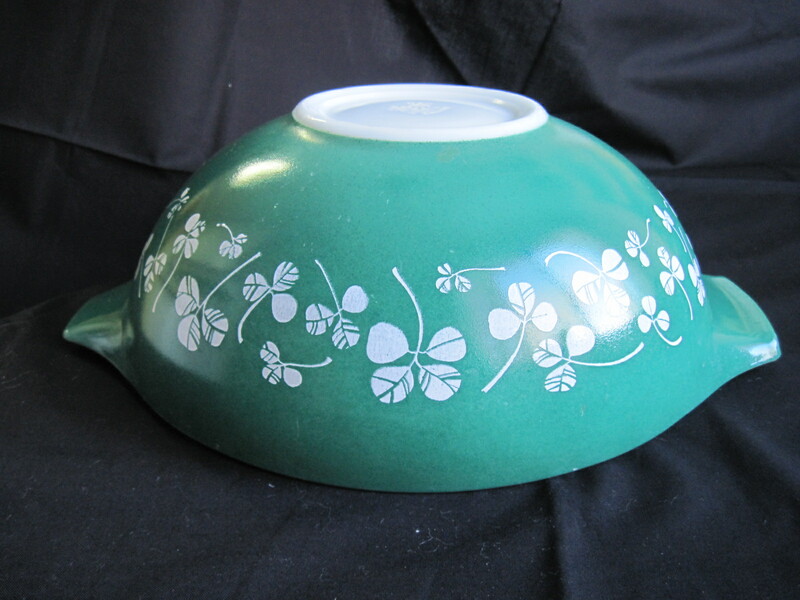 I also have the complete Verde mixing bowl set in the Cinderella shape. This set will be for sale in my booth at the Almonte Antique Market, 26 Mill Street, Almonte ON. Priced at $ 55 for the set.